A new Senate bill aims to lure more career employees into the Senior Executive Service and creates more spaces for them by limiting appointees. 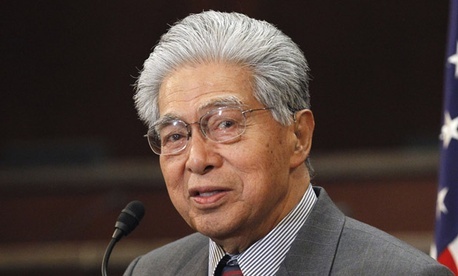 The 2012 Senior Executive Service Reform Act was introduced Wednesday by Sen. Daniel Akaka, D-Hawaii, and referred to the Senate Homeland Security and Governmental Affairs Committee. Carol A. Bonosaro, president of the Senior Executives Association, which has long supported many of the bill’s provisions, has said Rep. Jim Moran, D-Va., will propose companion legislation in the House. “We are increasingly concerned that highly qualified GS 14s and 15s are not aspiring to the SES and that current senior executives are not receiving the necessary resources to enable them to perform at the highest level of which they are capable,” Bonosaro said. “We believe the reforms contained in this legislation will make the SES more attractive to both aspiring and current senior executives,” she added. The legislation would create additional incentives to join the SES by regulating the percentage of noncareer SES appointees. It would require all Cabinet-level agencies to have at least one career SES at the principal deputy assistant secretary level for every assistant secretary of comparable positions. Currently, noncareer SES membership is capped at 25 percent of allocated positions. The bill would lower that ceiling to 15 percent of filled positions. If an agency has 100 allotted SES positions, for example, 25 SES members can be noncareer employees, Bonosaro explained. If that agency only fills 75 percent of their 100 available SES positions, the noncareer employees make up a third of the SES workforce. The bill includes pay and performance management reforms. It would increase feedback given to executives regarding their rating levels and tier placements. It also would allow SES members to count bonus awards toward their high-three salary calculation upon retirement, since SES members do not receive comparability adjustments such as cost-of-living increases and all SES pay is performance-based. In addition, the bill includes provisions to improve recruitment of SES and diversity in the senior workforce. A 2010 SEA survey of GS-14 and GS-15 employees showed that many qualified candidates were dissuaded from aspiring to career SES positions due to a skewed risk-to-reward ratio and concerns about mobility and lack of work-life balance. For example, in some instances, a GS-15 would earn the same as they would if they moved into the SES, Bonosaro explained. Strengthening the Senior Executive Service is important to the federal government as more and more current SES members reach retirement eligibility. The Congressional Budget Office recently estimated the number of retirees across the federal government will grow 10 percent during the next decade. “We want to be certain that the best and the brightest will be interested, especially when we’re being hit by a lot of retirements. The retirement eligibility in the SES is very high,” Bonosaro said. Some lawmakers have been concerned about the proliferation of political appointees. When elections turn these positions over, institutional memory and experience are lost, Bonosaro said. More career SES positions could help address that. The proposed legislation also would require all Cabinet-level agencies to have at least one career SES at the principal deputy assistant secretary level for every assistant secretary or comparable position.